About the fund | "Fund family Kolhofer"
Charitable Organization “Kolgofer Family Fund” was founded in 2012. Together we can make life of podolians better. By supporting those who really need it, taking care of the spiritual heritage of our Podilia, cooperating with Ukrainian and international funds, we will continue to develop the potential of our children and youth to work for the betterment of socially unprotected people, invalids, veterans. 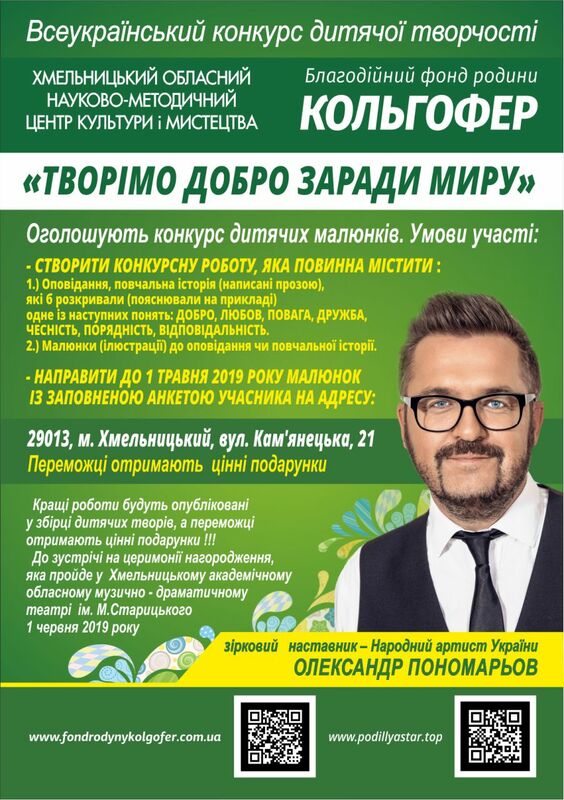 Kolgofer Family Fund created to help resolve the problems of Khmelnitsky city And Khmelnitsky region citizens. We are united in a strong family to make our neighbors life better, and the world – kinder; to teach children to respect their parents, and parents – to believe in a happy future. We are open for communication and always welcome new friends and partners, who are not indifferent to the podolians future and ready to help a neighbor.